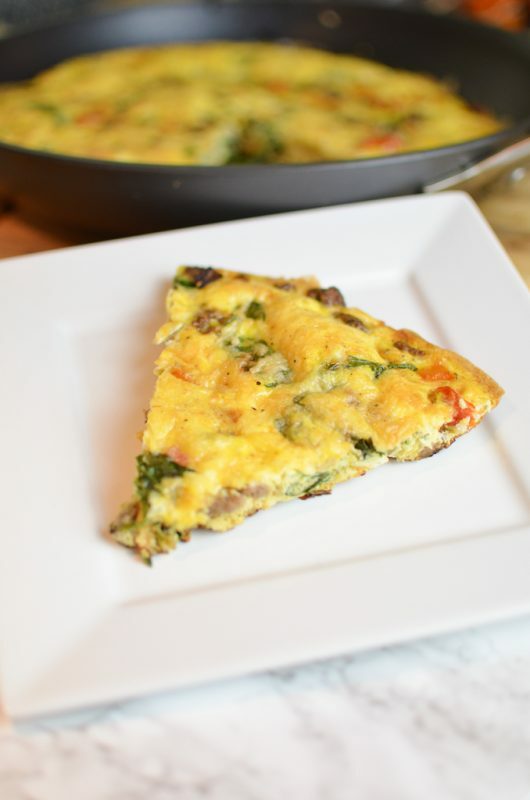 Cheesy Italian Turkey Sausage Frittata - Perfect Make-Ahead Breakfast! I am always looking for easy, filling breakfasts. I’m a big proponent of fueling up at the start of your day… and if you know me, you know I adore breakfast food. In fact, I could eat breakfast food any time of day and never get tired of it. Even though I enjoy the classics, it’s nice to come up with new ideas too. We’re always trying to get more whole foods into our diet – that allows us to indulge just a little bit while still keeping with a healthy lifestyle. I’ll be honest – the motivation for this recipe was largely to add some cheese to it. Who doesn’t love cheese? 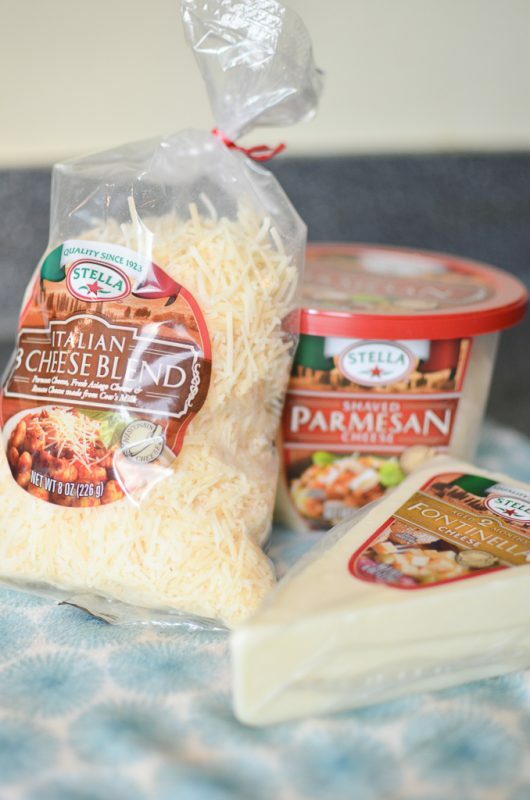 Italian cheeses are some of our favorites, so I made sure to include one of our favorite combinations from Stella cheeses. 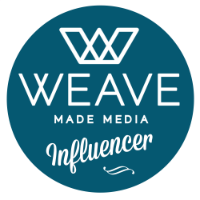 They recently got a new look – and the packaging is so nice! I’m loving the clean, easy to read packaging and how easy it makes it to find the exact cheeses I’m looking for. Which, to be honest, is all of them. 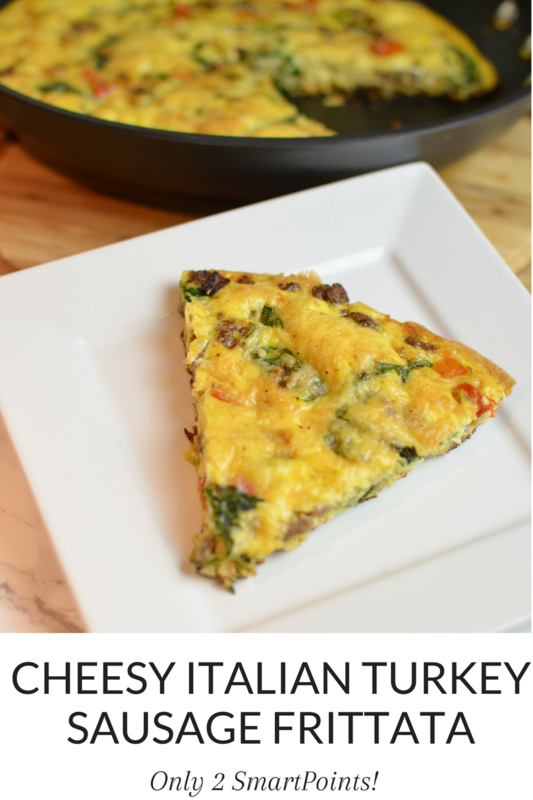 I whipped up this easy frittata yesterday to showcase the way this Stella cheese seamlessly integrates Italian flavors into your dishes… and let’s just say when these leftovers run out I’m going to make another one right then and there. 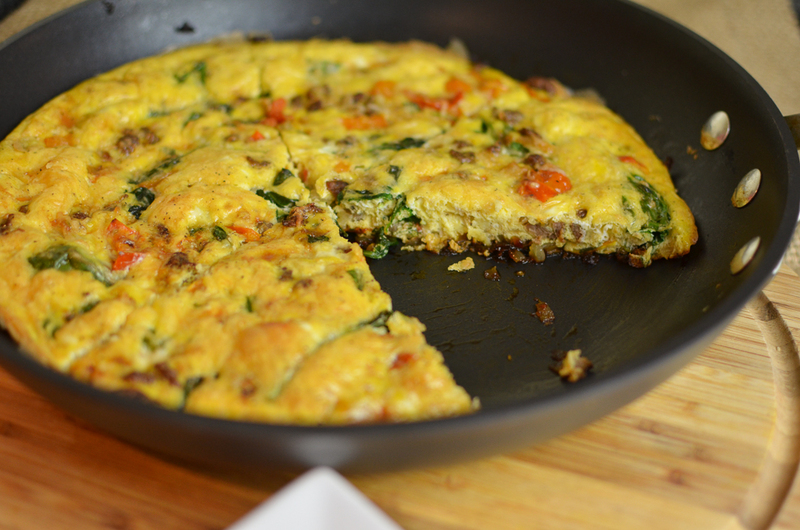 I love the ease of frittatas and how well they keep for leftovers – we’ll be having this for breakfast all week, and I think it would even keep well in the freezer! Using a large oven-safe pan (I used a 12 inch), heat a drizzle of olive oil over medium heat. 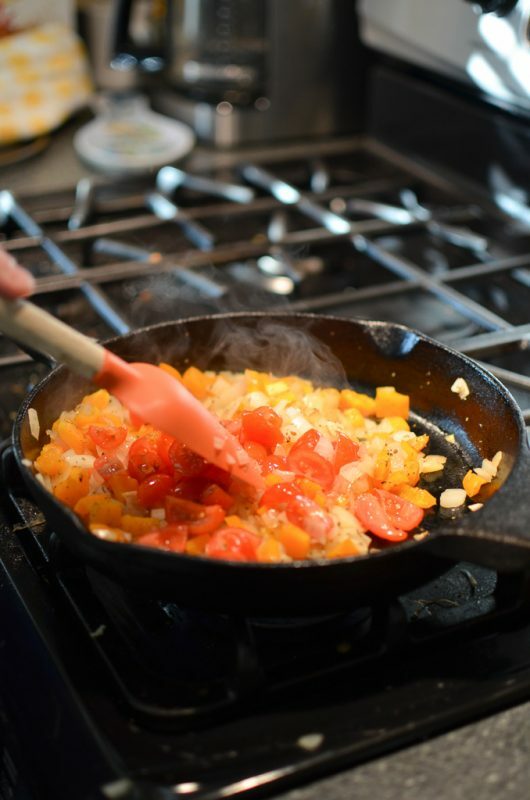 Chop up onion and bell pepper. 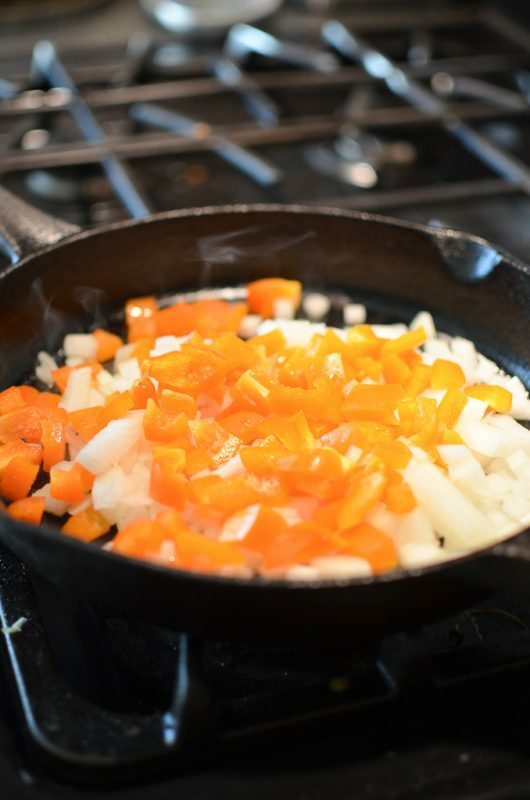 Add to pan and saute until soft, stirring occasionally, about 3-5 minutes. Add tomatoes and turkey sausage, cooking until heated through, about 2-3 minutes. Sprinkle mixture with Italian seasoning and stir. 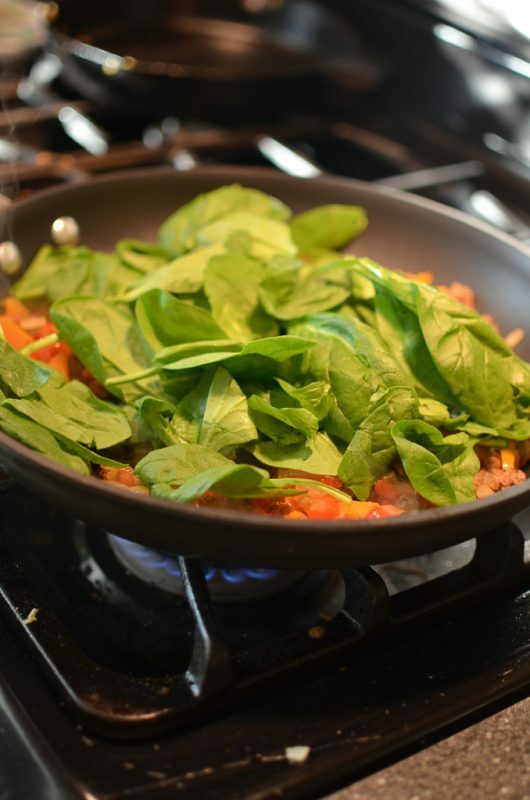 Add spinach and stir through until it wilts. Crack all 8 eggs into a bowl (I actually use a tall Pyrex because it's easier) and beat with salt pepper, and 1/4 cup of the Stella Italian 3 Cheese Blend. Gently pour eggs over the veggie and sausage mixture. Sprinkel with remaining 1/4 cup of Stella Italian 3 Cheese Blend. Remove pan from heat and place in oven. Cool, then cut into 6 wedges and enjoy! 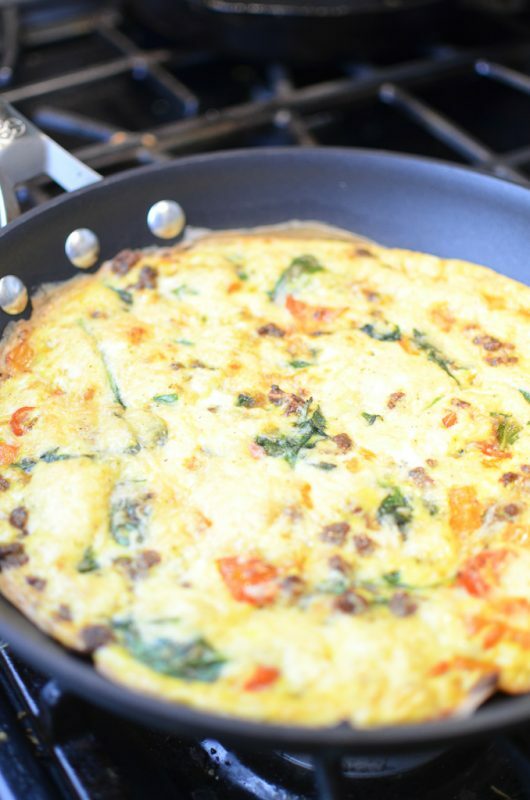 This recipe is highly customizable and you can add things you love or take away what you don't - just make sure you use a big enough pan! I didn't at first and I had to move the entire mixture to a bigger pan! As is, this is only 2 SmartPoints per serving on the newest Weight Watchers plan! 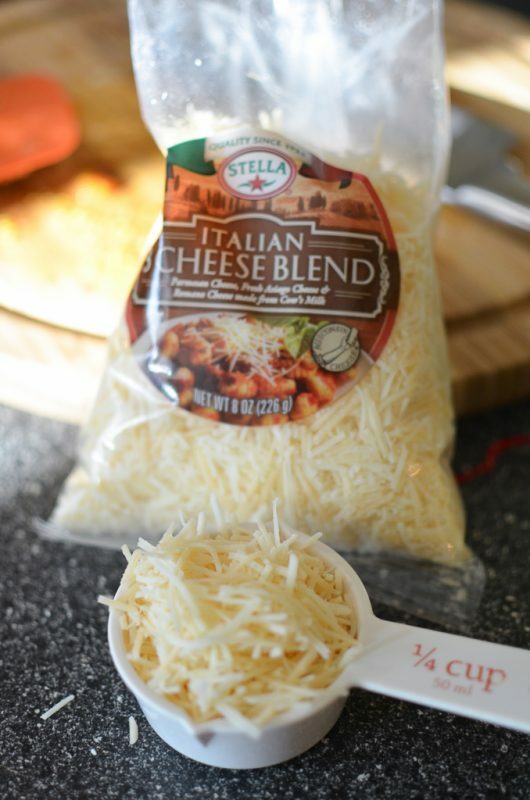 It’s seriously so good and I can’t wait to make it again… maybe with a different Stella cheese! Their cheese is so flavorful you don’t need a lot in the recipe, and I love how that makes it easy to indulge a little while still watching what I eat. 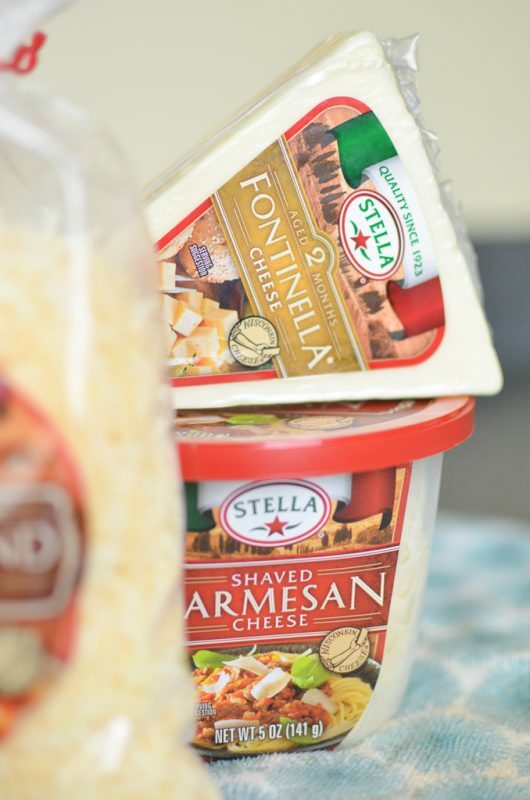 Make sure you head here to find out where you can find Stella cheese at a retailer near you – and try out a different flavor for your frittata if you like! Let me know how yours turns out! Do you want more recipes from me? Let me know in the comments, and make sure you pin the images below to save the recipe for later! This is always the kind of breakfast I’m looking for to cook at home! That looks really good. I’m going to make one!